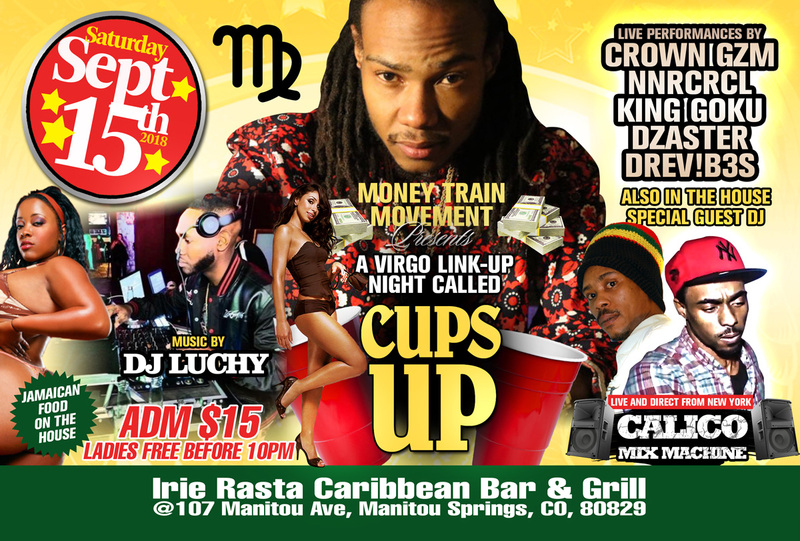 Venue: Irie Rasta Caribbean Bar & Grill – 107 Manitou Ave, Manitou Springs, CO, 80829. Cups Up will feature live performances and also features Calico Mix Machine from NY alongside Dj Luchy. This event takes place on Saturday September 15th at the Irie Rasta Caribbean Bar & Grill,. 107 Manitou Ave, Manitou Springs, CO, 80829.